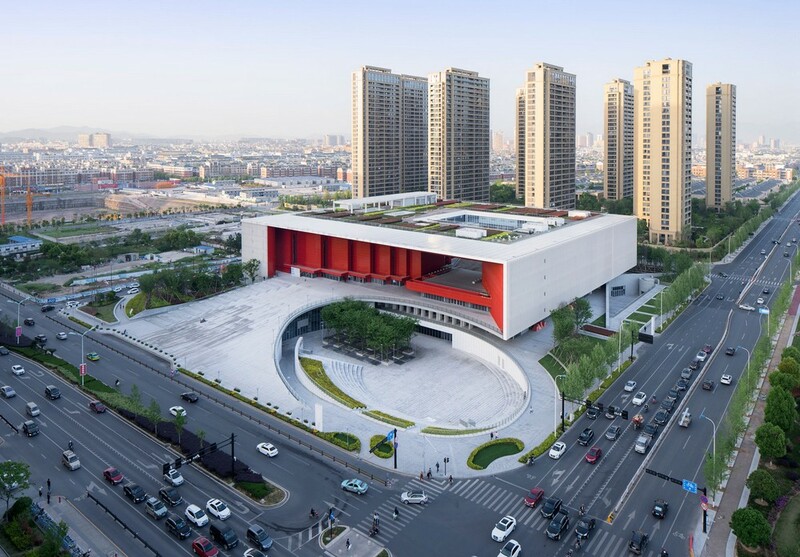 Building in China – design by The Architectural and Urban Planning Design & Research Institute Co.Ltd. 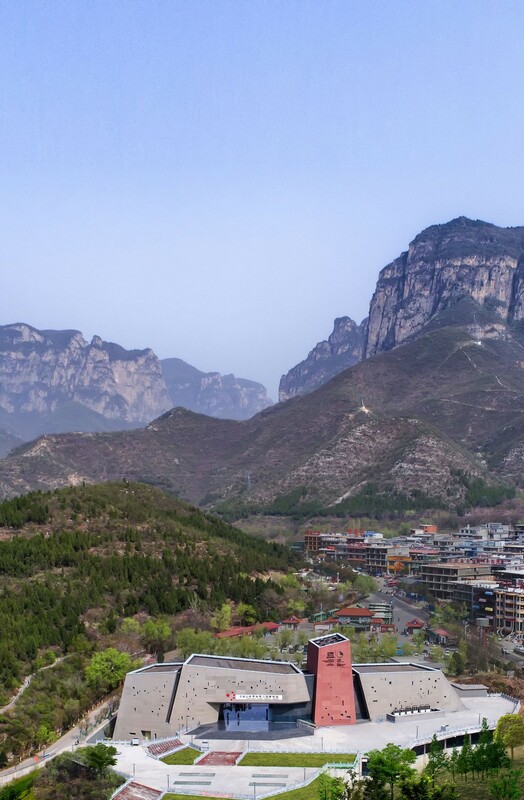 Yuntai Mountain is covered with cloud and fog, which is well arranged and leaving a deep impression on people. 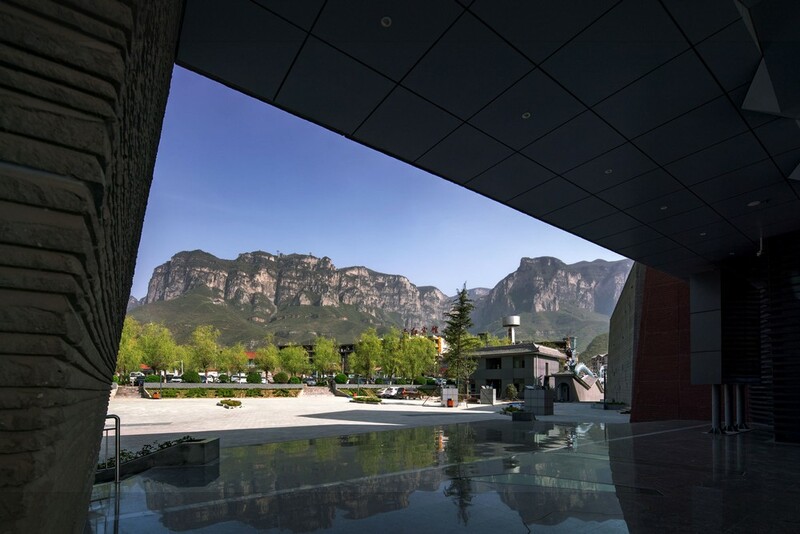 The design takes the form of mountains as an intention, and uses a Chinese character “山”,which means mountain in English, as a metaphor of architecture, emphasizing the sense of place. 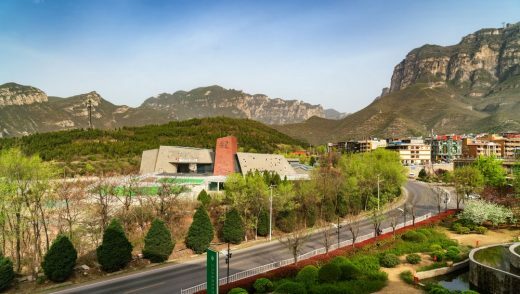 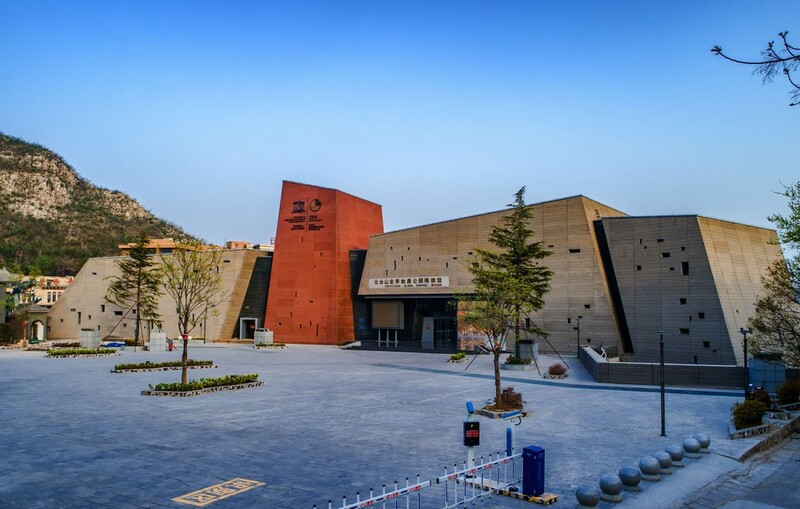 The color tone of Yuntai Mountain is dark red and blue-gray and the color tone is been used for the facade of the museum. 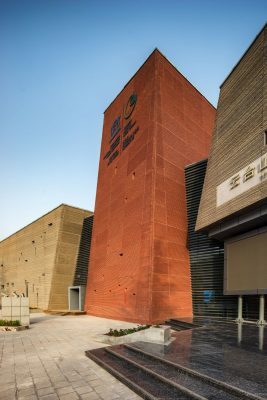 To avoid damaging the environment, “recycled concrete”, which is made up with waste concrete as aggregate, is used as the external skin, to saves resources and protects our environment. 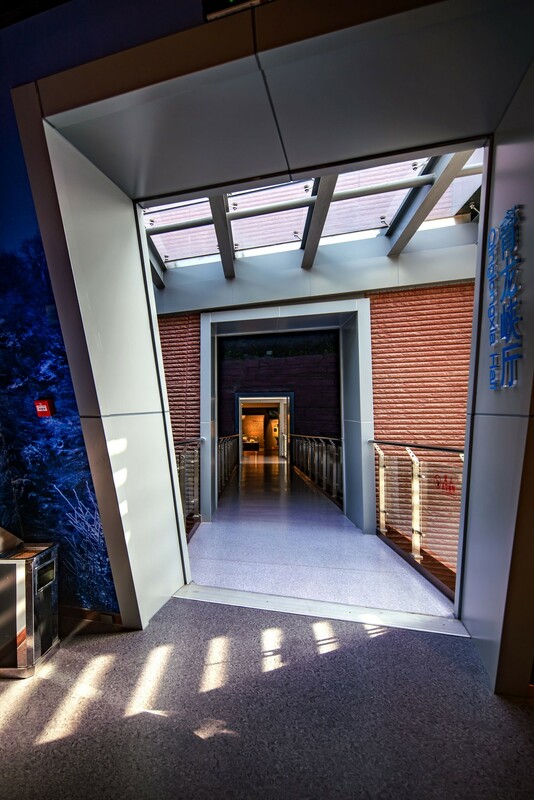 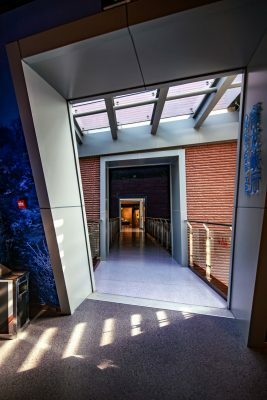 Recycled concrete maintains the hue of dark red and blue-gray rocks in the mountains, making the museum blend into the cascading mountains. 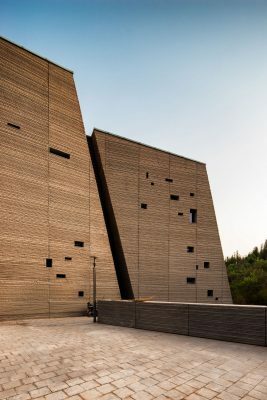 The architectural massing of building in scenic spot shouldn’t be too large, but the project site is cramped and simple addition of the task book will inevitably making the massing of the building as a wall. 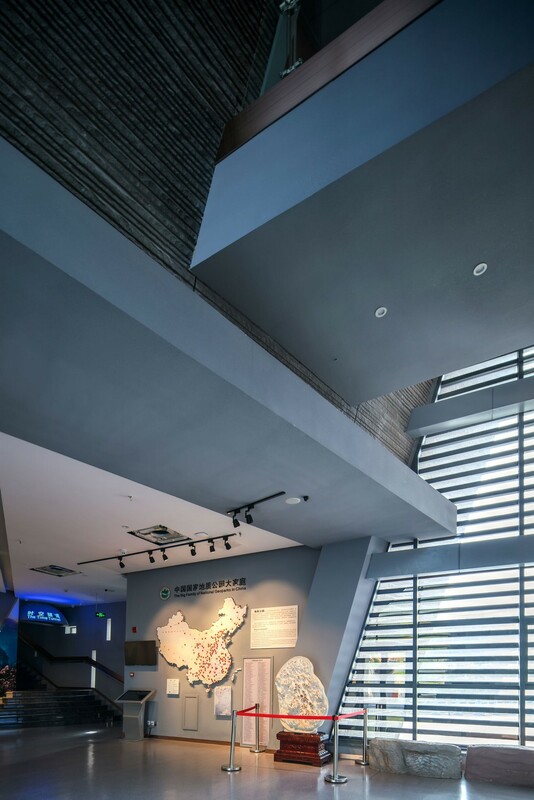 To avoid obstruction, the design is overhead in the middle part of the ground floor to manufactured a line of sight corridor in the scenic area. 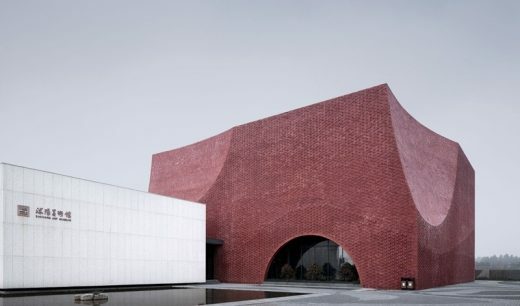 In order to relieve the pressure of building, the building is broken into several small-scale blocks. 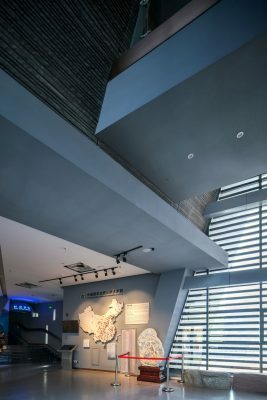 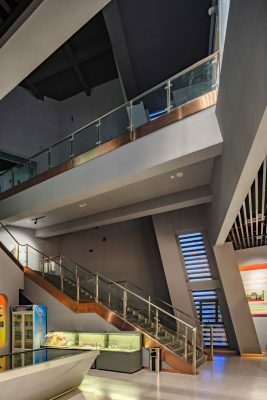 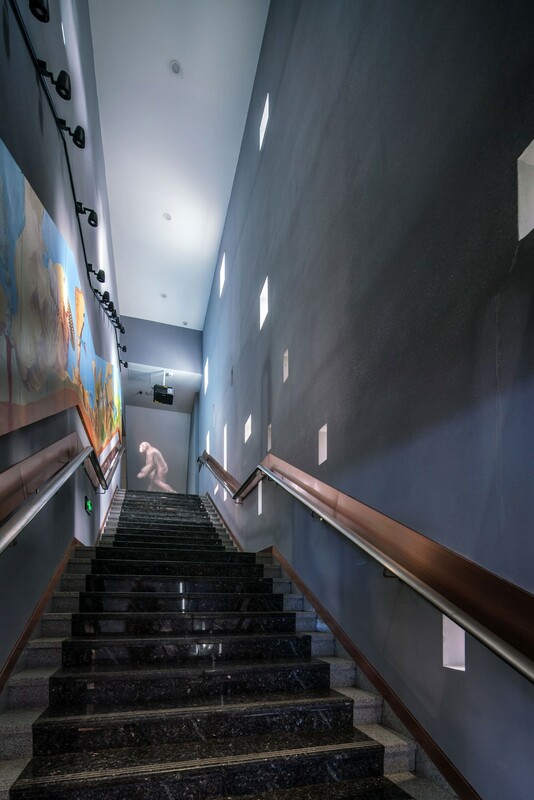 The display environment of inside the museum should be dark, which is in contradiction with the natural ventilation of the interior of the building. We don’t want the building to be a “guy” which is survived relying on mechanical equipments. 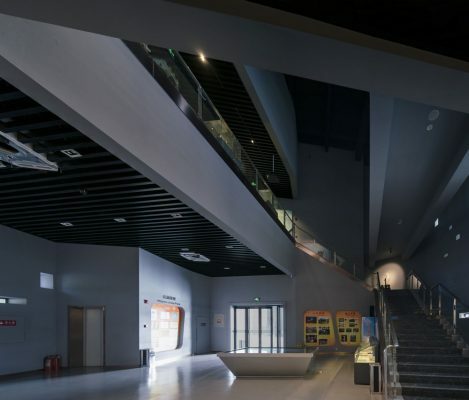 Therefore, chimney effect is used to create a passive pull-out cavity, partly relieving the contradiction between the natural ventilation of the exhibition space and the display atmosphere.